College counseling is a process by which students can realize their potentials with family support. As students grow and develop over the years, identification of this potential is important to their academic and social success. College Advance guides students through curriculum choices that makes sense, balancing the strength of the coursework with student ability and academic maturity which result in the highest grades. 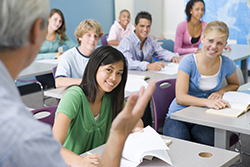 College Advance continually monitors student performance in each course. 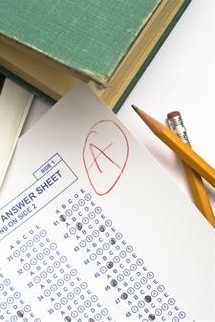 Grades are determined by at least 3 elements – student performance, teacher performance and the method of evaluation. Through our counseling, students understand and then can articulate each of these elements as they impact their learning and grade behavior. After each course is discussed, the counselor suggests ways to make improvements to study habits and shifts in attitude toward teachers and the classes — which could positively impact their learning and the final grades. Advising students on creative academic course plans of study – courses taken each term – provide the proper mix and intellectual challenge. Course planning is also discussed in the context of the high school coursework competitive college admissions committees look for in their candidates. Parent input to this process is important in order to give approval to the choices their college-bound student is making. Social development is important at this stage of life. College Advance counsels students on ways to build the comfort level and ability to interact with others. Finding meaning to their involvement is critical to their desire to participate. Extracurricular activities, community service, summer activities and internships contribute to this end. At College Advance, we find teens are not convinced how activities will help them in their growth and development – let alone help them get into their top colleges. Pushed to participate often makes them recoil from adults who make suggestions. Our role is different from parents, peers, and other adults. Our counselors develop rapport with students, enabling them to discuss freely what interest them, their goals and aspirations for college, a career, etc. Information gathered through our unique approach to college counseling, we facilitate the process of social growth by providing specific suggestions for sports, extracurricular activities, community service, summer activities and internships. Student interest is paramount with these suggestions which are tailored to their interests and talents. Consequently, students participation is fully self-motivated requiring little – if any — pushing or cajoling by parents. At College Advance we make specific suggestions of summer programs of interest, volunteer opportunities that would not be found elsewhere and a host of pre-college experiences that are learning experiences which incidentally help to build the resume. Parent involvement in the college selection and admission process is very important. The college admission process brings up many issues that parents and students never even thought would exist. To be helpful to the student in this process, there are parental supportive approaches that work and some that do not. Having worked with many families for over 20 years, we help parents anticipate teen behaviors that may seem off-putting in ways that can on the surface be hurtful and irrational. We help parents understand why their teen acts the way they do, offering suggestions on ways that may work better when relating to a child who is fearful about the upcoming changes in their life. And, parents also undergo a variety of responses to their child just about to start a new chapter in their lives. Parents do, too. Our goal is that the parent-child dynamic is not negatively impacted by the college admission process but can be seen as an opportunity to develop closer relationships prior to college. Testing against assumptions and prejudices alike prevents inhibiting options that may be the best ones, just ones that had not been considered before. Our approach begins with assessing the student as a learner, their academic and social maturity. It is important to our work that we understand the student and family before considering colleges. Academic strengths and interests translate into potential majors. Potential careers are considered as an element of the college search in terms of translatable real world preparation for the career. However, there a many other major and academic options that can have the same career goal. We discuss all of these options. 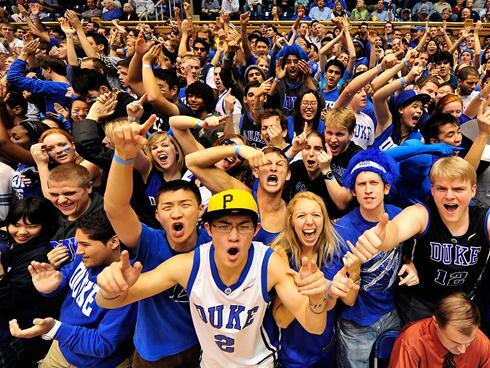 The educational environment is primary in college considerations. Prestige is a strong consideration as well. We sometimes see students going to very prestigious college only to find that they are very unhappy. Maybe another college of the same caliber would have been better. We help families learn how to make sense of all the data out there on the best colleges. Our counselors help students and parents understand these elements of the college targeting process as they sift through their priorities for the college-bound student’s college future and life aspirations. Financial considerations are not the first concern. Our students receive half and full ride academic scholarships to colleges whose street value is price tagged at over $60,000! Over 50% of our students receive some type of financial award. We are looking for the fit of campus and then consider the price, coming up with similar options that may be more affordable. Our goal for all of our students is that they are offered admission to at least half of their college list. Their final choice is hard because they have been accepted to their top choices already researched and considered. At this point we coach families on how to assess these options to make a decision that meets all the criteria of student and parents alike. Monitoring the first year of college is critical to student success and as an evaluation of our efforts. Successful transition to college for students and their parents is an important step that most skip or do not realize is important to the process. We make sure that the student is academically and socially successful at their college or university. 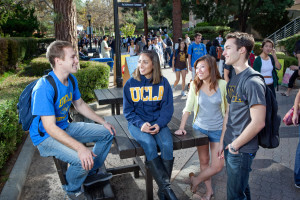 Sometimes parents and the student run into difficulty such as dealing with the school’s red tape to get something done or having difficulty simply connecting with other students and professors on campus. Having professional careers in college admission, college administration and housing, our counselors serve as ombudspeople to our clients. We facilitate successful resolution to these issues. And, we also help students choose their courses for the first year to help students not be overwhelmed – or underwhelmed – with their curriculum choices. We look forward to becoming a part of each step of the college admission process. Successful college performance and learning outside of class is our goal. Let us know how we can be of assistance.